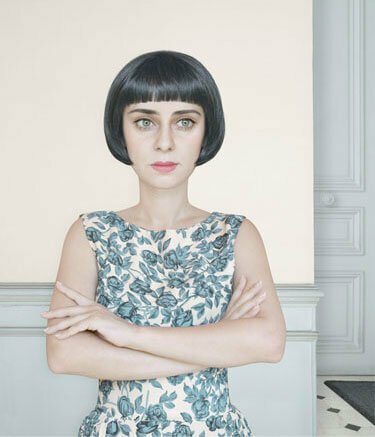 The artist executes her compositions using a combination of photography, painting and digital manipulation. 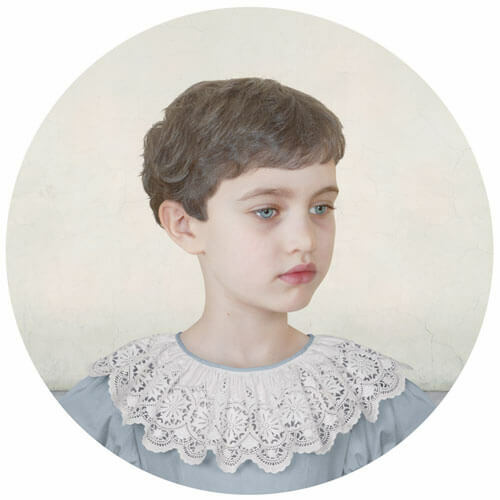 Lux's work usually features young children and is influenced by a variety of sources. She originally trained as a painter at Munich Academy of Art, and is influenced by painters such as Agnolo Bronzino, Diego Velázquez, Phillip Otto Runge. 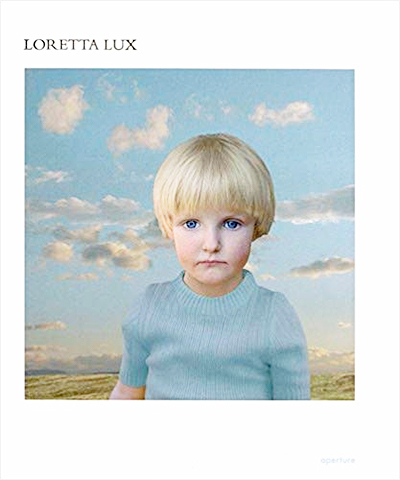 Lux also owes a debt to the famous Victorian photographic portraitists of childhood such as Julia Margaret Cameron and Lewis Carroll. 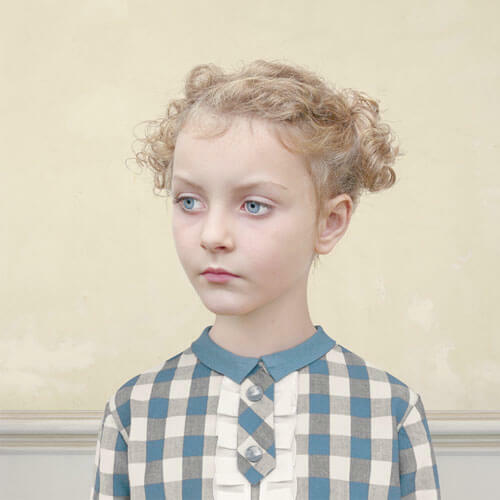 Loretta Lux was born in Dresden, Germany, in 1969. In 1989 she left East Germany for Munich, a few months before the fall of the Berlin Wall. From 1990–96, she studied at the Akademie der Bildenden Künste in Munich. 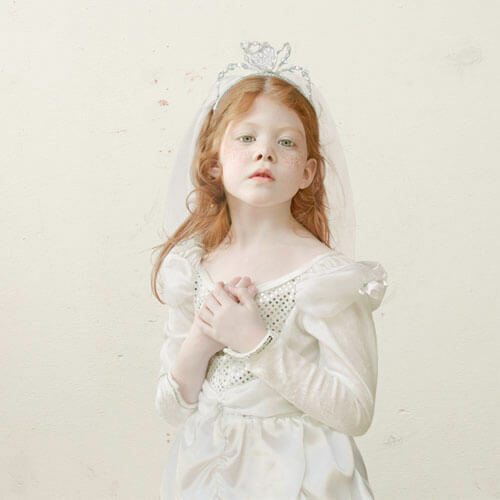 Trained as a painter, Lux began taking photographs in 1999. 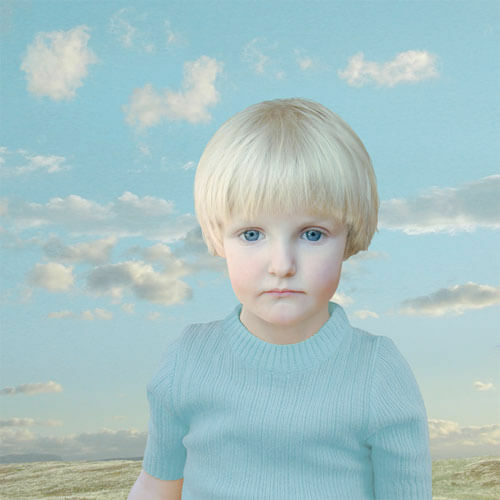 Although Lux first experimented with self-portraits in works like The Hush (1999) and Self-Portrait (2000), she soon transitioned to images of children and adolescents, typically the offspring of friends who she often used as models. Her subjects, with gazes ambiguously empty yet psychologically activated, assume formal poses and appear in calculated garb and hairstyles. 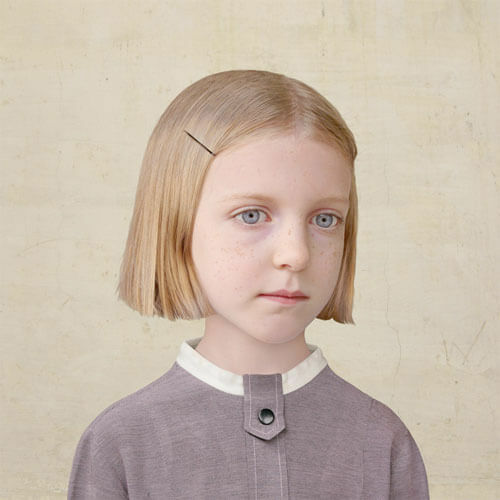 Employing photography, painting, and computer manipulation, Lux alters the images, extracting extraneous details, distorting proportions, and setting the children against mediated backgrounds that exist somewhere between Old Master paintings and cheesy studio-portrait backdrops. 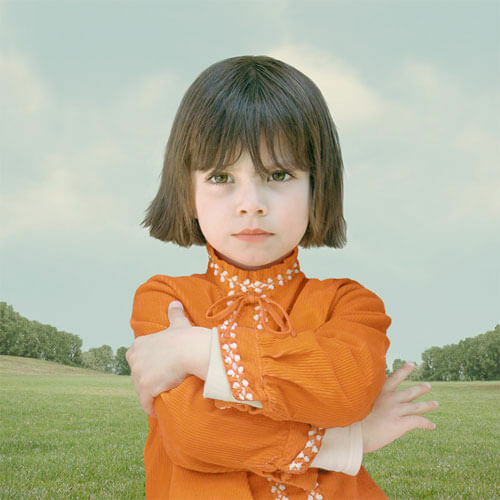 Lux's earliest works set children against icy blue skies, for example in Troll (2000), Lois (2000), and Isabella (2001). 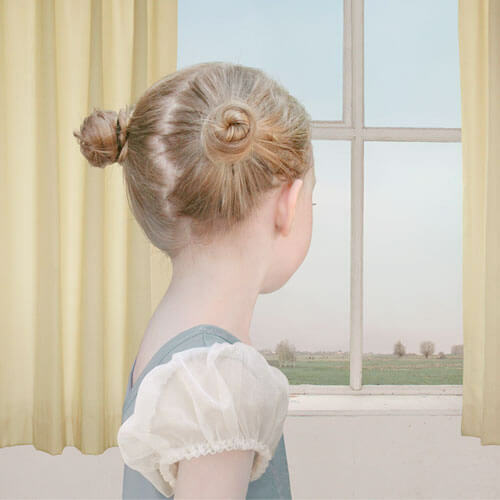 In 2001, while the skies continued to serve as backdrops in some works, Lux began to increasingly stage her images within barren pale pink interiors; such images include Hidden Rooms (2001) and Study of a Girl (2002). 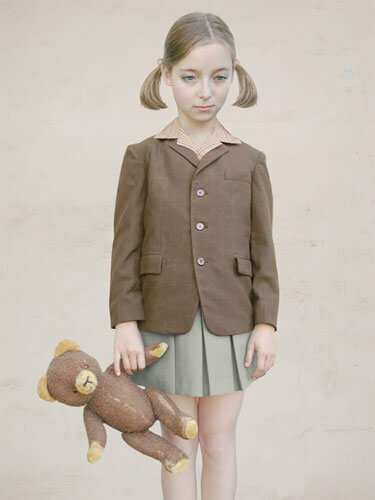 In several works including The Book (2003), Lux borrowed poses from Balthus, endowing those works with the rigidity and sense of perversion that characterized the French artist's oeuvre. 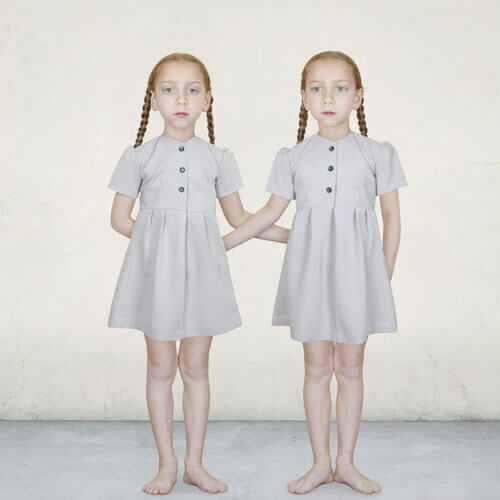 Lux moved to Ireland in 2004 and increasingly depicted pairs of children rather than the solitary figures that occupied her earlier work. 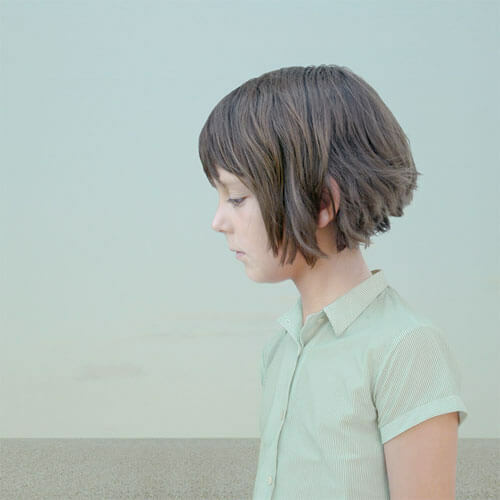 In her images of siblings like The Walk (2004), The Irish Girls (2005), and Hugo and Dylan (2006), the figures are psychologically isolated and physically interact quite gingerly with minimal and half-hearted gestures, perhaps an arm around a shoulder. 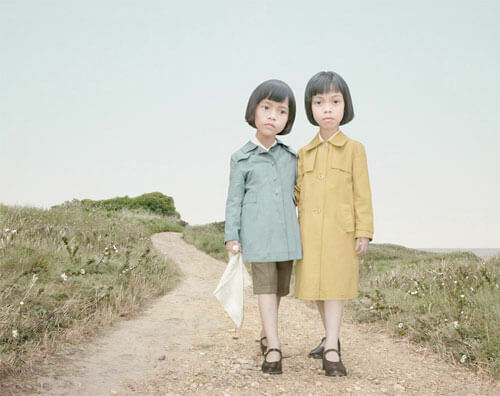 Lux photographed the twins Sasha and Ruby (2005), girls who again sat for multiple images the artist produced in 2008. 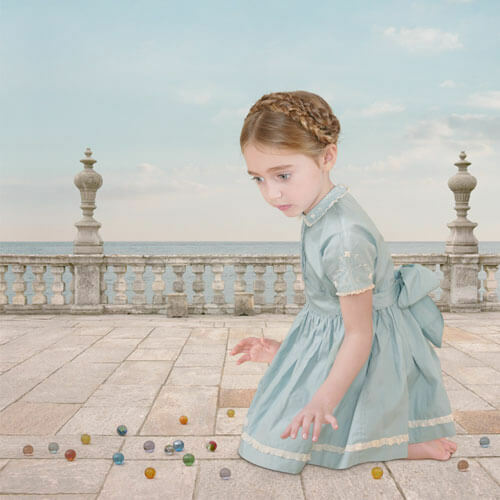 In 2007 Lux created her first self-portrait in seven years, this time occupying the pale blue and pink world of the children and bearing their ambiguous, confounding expression. 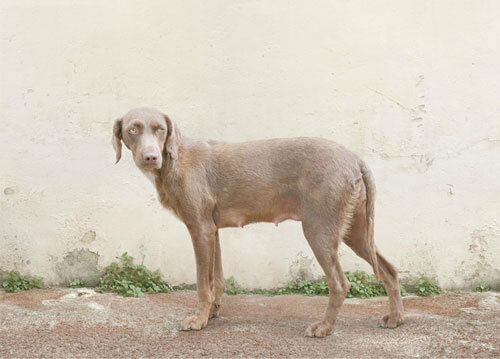 Solo exhibitions of Lux's work have been organized by Stadtmuseum in Muenster (2003), Fotomuseum den Haag in The Hague (2005), Museo de Arte Contemporaneo de Monterrey (2008), and Kulturhuset in Stockholm (2009), among others. Lux's work has also been included in major exhibitions such as Arbeit an der Wirklichkeit, German Contemporary Photography at the National Museum of Modern Art in Tokyo (2005–06), Global Feminisms at the Brooklyn Museum (2007), Family Pictures at the Solomon R. Guggenheim Museum in New York (2007), and the Havana Biennale (2009). 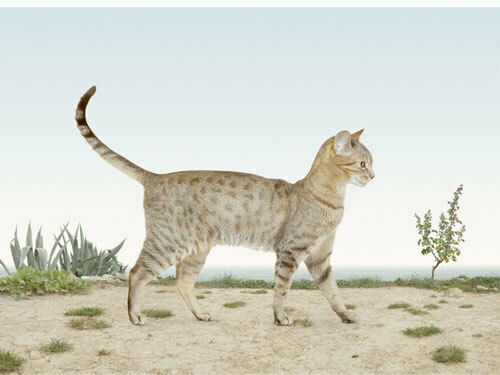 In 2005 she received the Infinity Award for Art from The International Center of Photography in New York. Lux lives and works in Monaco.